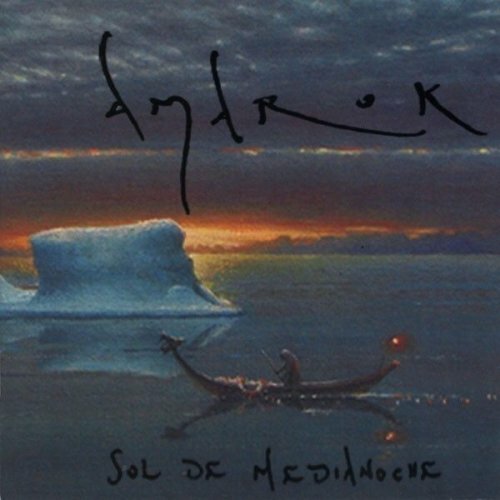 Over numerous releases now, Amarok has essentially created their own musical world, somewhere between the Mediterranean-Arabic folk music axis, the medieval sounds that might have been associated with Dead Can Dance, a tasty classical informed chamber sound, and a slightly jazzy take on symphonic progressive rock. Having heard all the previous releases and seen the band several times now, they have an amazing ability to masterfully weave all these elements together behind the powerful vocals of Marta Segura. A traditional folk piece can jump right out from the heart of a classical tune, and segue seamlessly into a Middle-Eastern tinged instrumental dreamscape before jumping right back into some keyboard driven instrumental prog, like a rollercoaster ride that crosses cultures, continents, and centuries of time. The basic six-piece band (bandleader, multi-instrumentalist, and composer Robert Santamaria, plus bass, drums/percussion, flute/didgeridoo, saxes/clarinet, and lead vocals) is joined by numerous guests this time out on guitars, brass, violins, and additional vocalists. The ten originals are supplemented by a brilliant take of ELP’s “Abaddon’s Bolero” featuring vocals. My only complaint is the nearly unreadable black type over the dark graphics on the annoying fold-apart poster. On a strictly musical level though, this latest Amarok release is nothing short of superb.